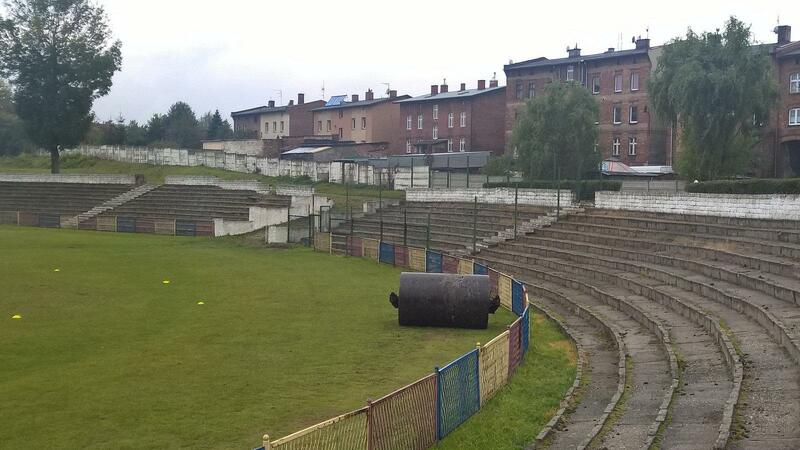 Stadium in the northern district of Mikulczyce was built with rather flat stands with up to 12 rows of terracing. 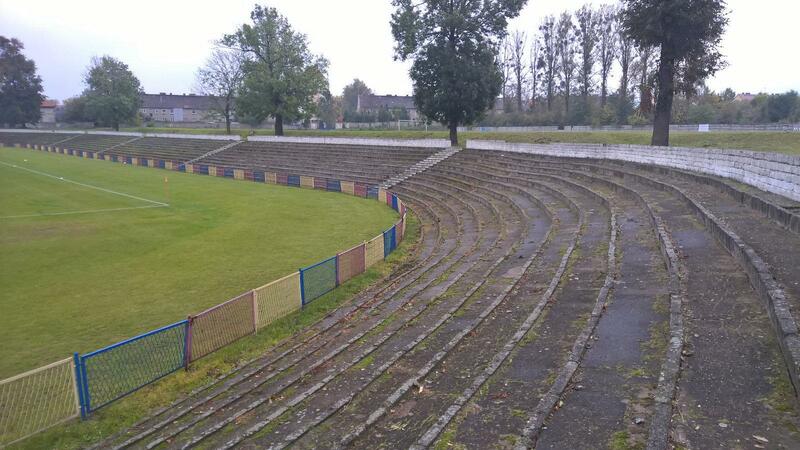 In its heyday it was able to hold up to 13,000 people, a crowd recorded here at least one in 1970s. 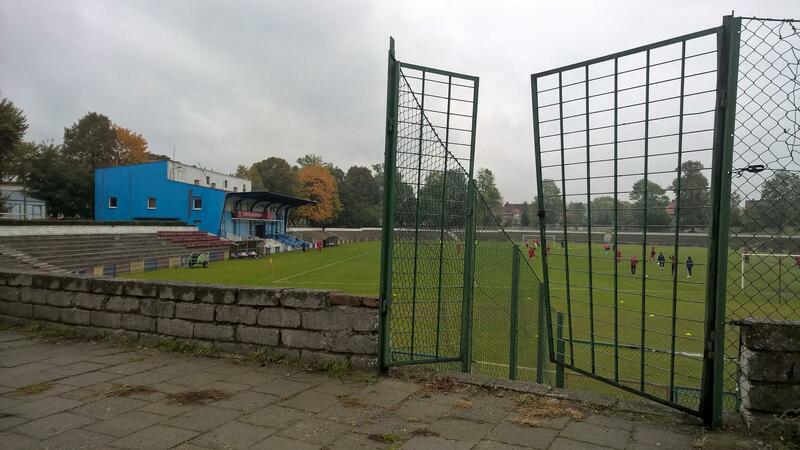 This is when local club, then named MGK Mikulczyce, played their debut in Poland’s second league. 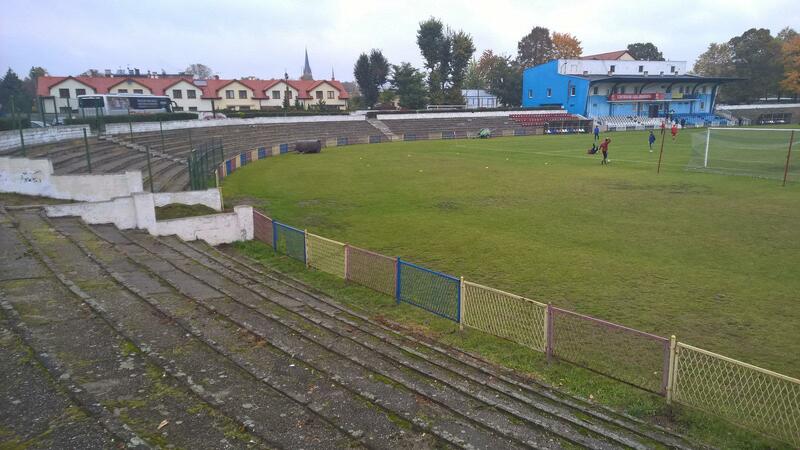 Later renamed Sparta, the club never got to play in Ekstraklasa, quite the opposite. 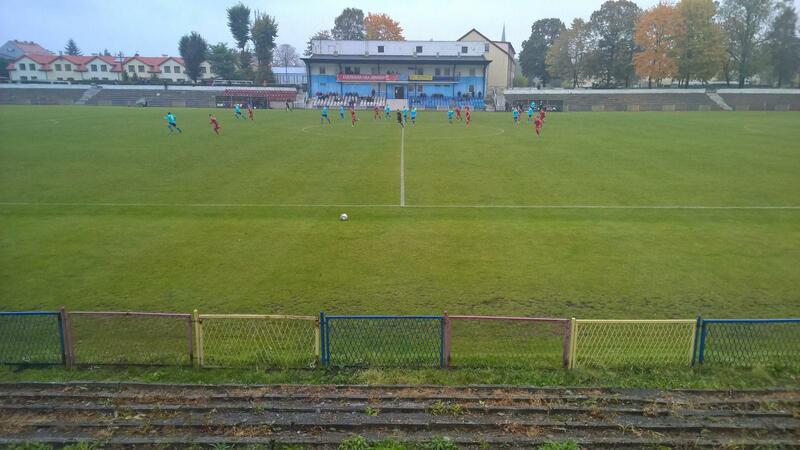 They were soon relegated to the 3rd tier and since 1985 have been struggling between 4th and 5th levels. 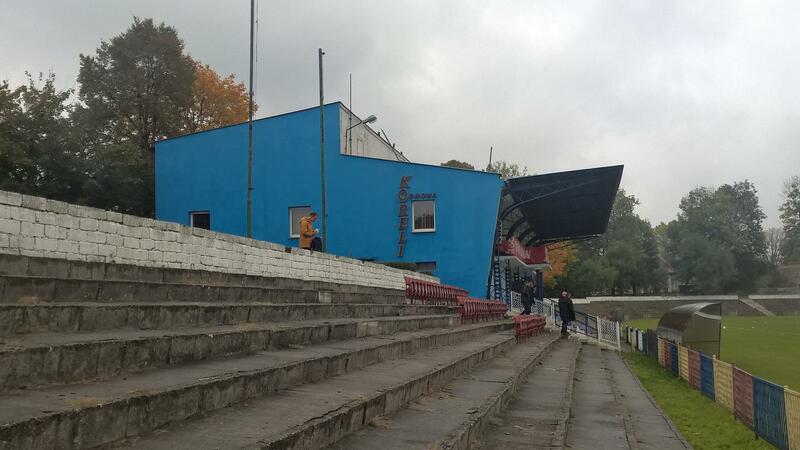 It’s thus no wonder that the stadium is only used in a small part, even if all of the old sections are accessible to the public. 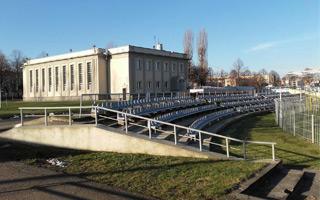 Nowadays only the main grandstand has seats and a small roof resting along the club offices.